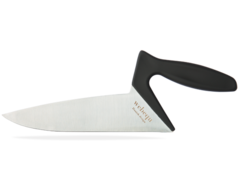 Maintain control, balance & stability while cutting with large ergonomic grip Webequ Knives. 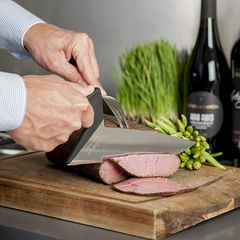 Chefs Knife - Maintain full control over your slices! 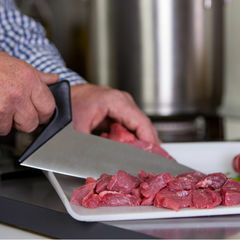 Precision and force is often needed when you slice meat. With this new grip, you will experience great control and extra power, allowing for a neat result of your efforts. The new grip requires less arm strength and enables you to effortless work, even for a longer time. This chef’s knife can be recommended to people with reduced arm- or shoulder strength.